Are we there yet? Yes, we are! 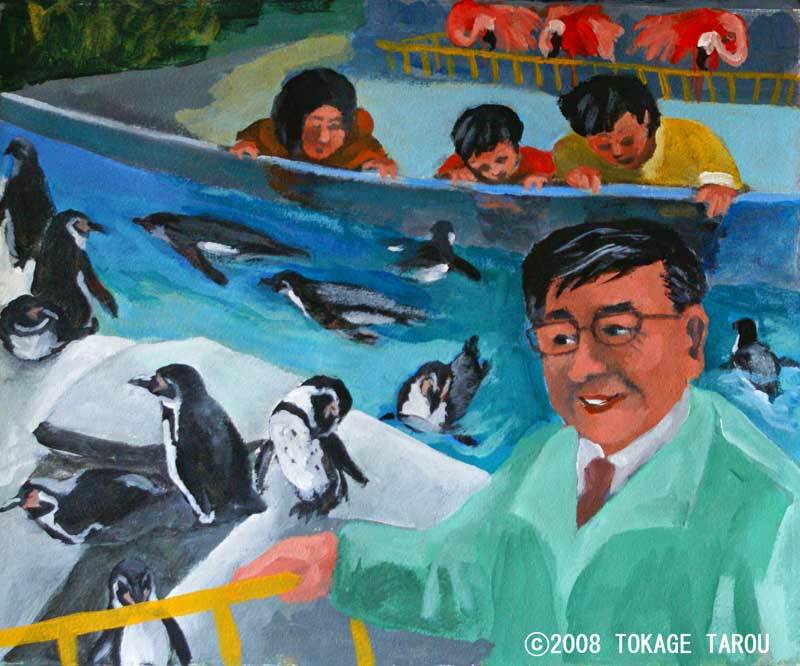 Yumemigasaki zoo is not a university like zoo, it is more like a community like zoo. From JR Shibuya station in Tokyo it takes about 20 minutes by train to JR Shinkawasaki station. You can get to the zoo only 15 minutes walk from the station. The zoo is in the Yumemigasaki public park, which is located on top of the hill in Kawasaki city. Entrance is free, but you cannot expect to see an elephant, a giraffe and big cats. 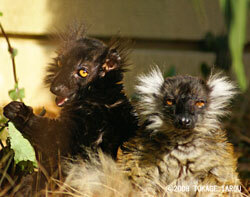 However you will encounter charming lemurs, vigorous Humboldt penguins and some other fascinating small mammals. There are very rare moose and zebras too, but be aware that zebras sometimes do up set by staring. The beak is very important roles for the life of a Humboldt penguin. Feeding, fighting, cleaning feathers, making a nest and so on. One day a male penguin broke his beak during the fight and lost part of it. Minoru Nagasawa, director of the zoo, decided to make the artificial beak to save his life. The new beak was very tiny and nobody has made it before. That was real challenge, but he made it with the dental technician. The artificial beak is made of the plastic gum and it lasts 2 to 3 months. There is a plaster model of it, so it is easy to reproduce. Injured penguin is now joined his clans again and swims fast as he used to do. This technique is also applied to the beak of a parrot and a fin of dolphins at the other zoos and aquariums in Japan. Fairly wide spaces are given to two female Siberian moose. Siberian moose is very rare species which lives in Heilongjang province, northeast China. There are only 200 to 300 Siberian moose are left in wild. In Japan male American moose is reared Kanazawa zoo in Yokohama city. Those two species are very similar, you can not distinguish them by appearance. Why not match them up! Not so fast, there is clear difference in gene level. “We have to study more about the gene of the Siberian moose and should do it fast because its habitat is diminishing very rapidly”, said Nagayama. They do not use the language, but they behave. “Priority is the animal welfare. To maintain their well-being, a zookeeper should train himself to be able to observe the animal behaviour accurately”, said chief zookeeper Katumi Yokota who has 34 years experience as a zookeeper. 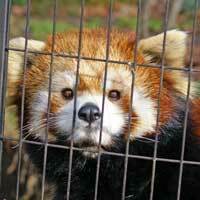 Zookeepers share all information for animals in Yumemigasaki zoo. In that way all zookeepers will notice unusual behaviour of individual animal which is sometimes sign of the severe health problem. “If you have enough experience, you are able to see their emotion such as anger, sadness, love, etc.” said Yokota. Yokota clearly remembers the day that the baby lemur hopped on his shoulder. “Seem to me that his mother does not care what her baby is doing. 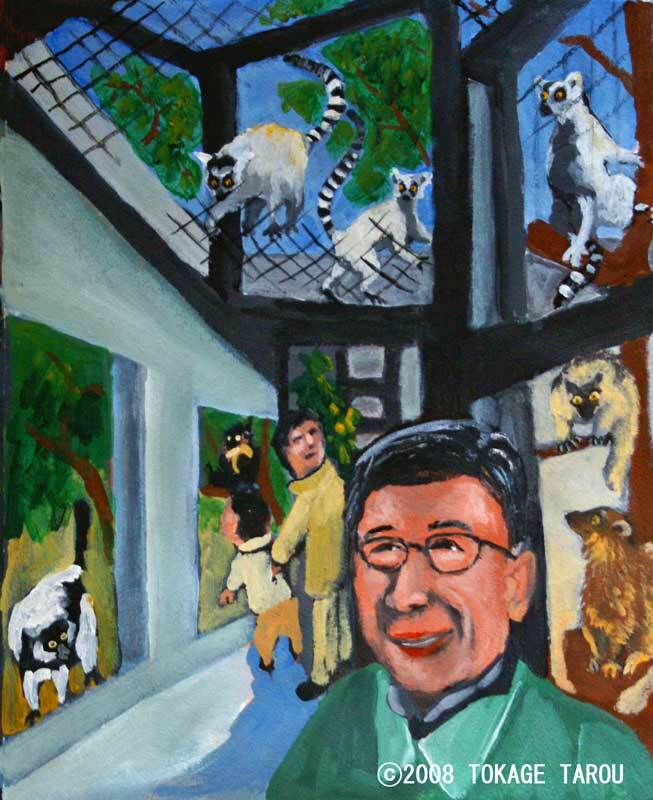 I felt that I am accepted as a member of the lemur clan”, said Yokota. Hey!! Do something about it please. Tufted capuchin is known as a monkey uses rocks to crack the nuts. They are so smart that they expressed their fear to the zookeeper by giving a look when a snake sneaked into their cage in summer. “They were sometimes kissing each other, I have never seen that kind of behaviour before”, said Nagasawa. He is talking about popular red panda, YuYu (雄雄) and YuYu (友友). Unfortunately female YuYu (友友) died this January. The couple was very popular so that Kawasaki city government decided to build memorial of YuYu. Her partner YuYu (雄雄) male panda and her sister MinMin are still healthy and attract many visitors. 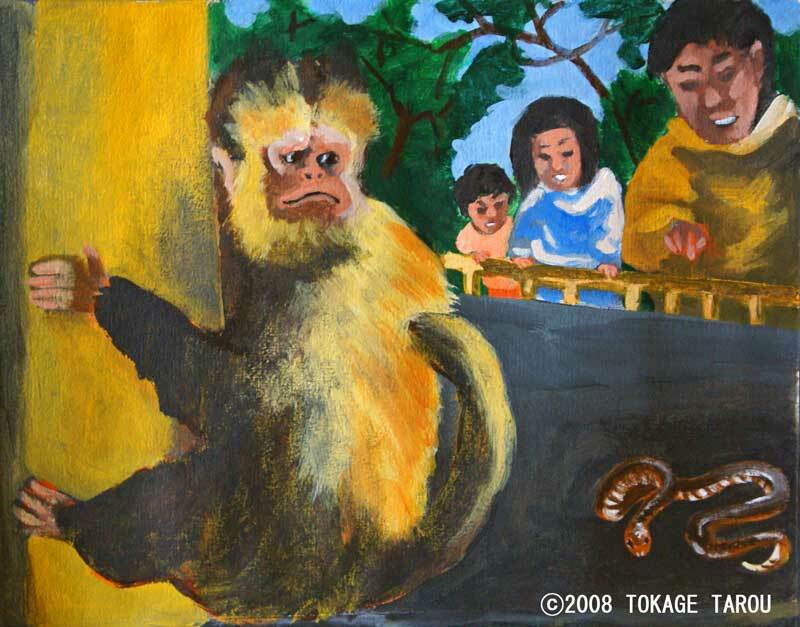 “Children can learn all kind of aspect of animals lives at our zoo. They can see birthing, parenting, caring and more. 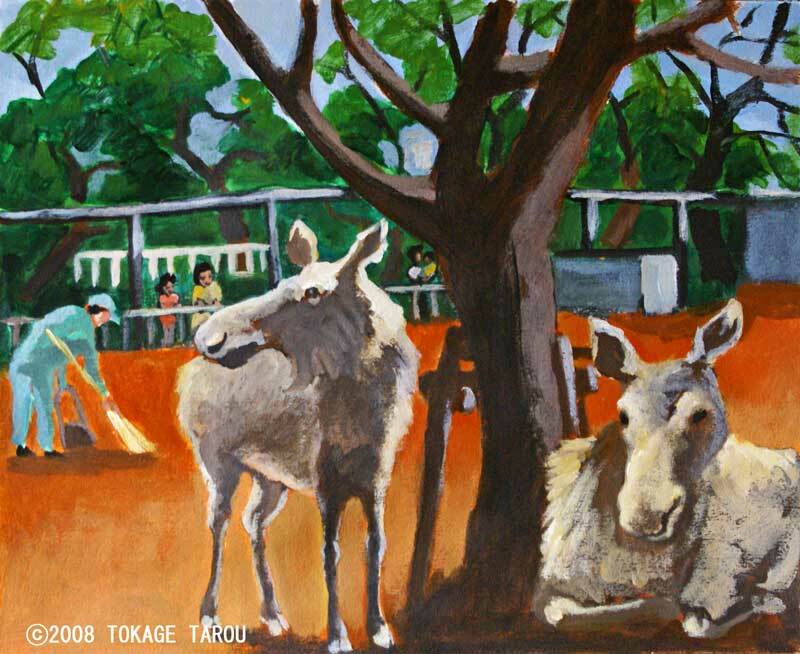 Most of all they will respect life of other animals”, said Nagasawa. 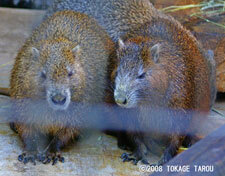 You can see them only at Yumemigasaki Zoo in Japan.